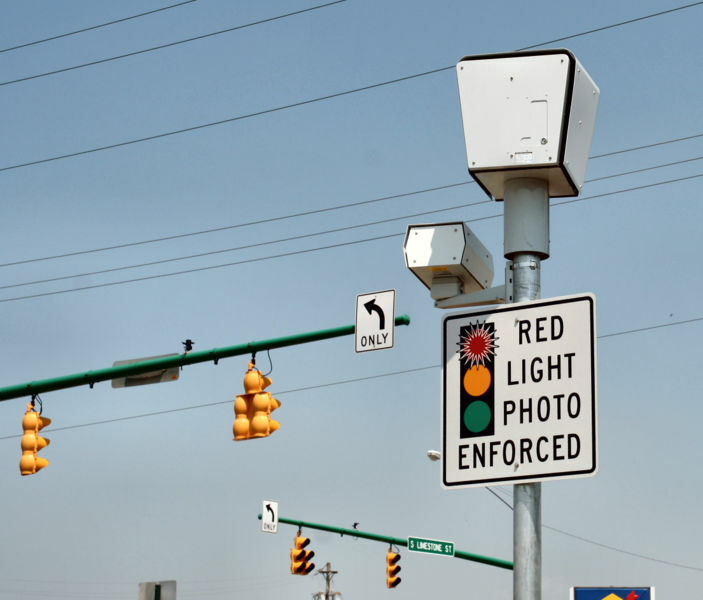 Over the past few weeks I have come across some articles regarding the red light cameras in Knoxville and elsewhere, their effectiveness, use, and ways to beat them. Here are a few for your consideration. All interesting stories, some about more intrusion into our lives under the auspices of "safety" and some stories giving some interesting ideas on how to beat them. I'll just mention this one good point from the WSJ article above. If we stop running the red lights, the cameras lose money and they go away, that is their achilles heel. I want to encourage everyone to take extra caution at intersections with cameras. Make no rights on reds unless you have a turn arrow. Never try to get through on a yellow. Just wait it out. (Especially if there is a police officer behind you) This will not only create inconvenience and frustration to help drive home the point to others, but alos reduce the revenue strem to the city. I have often wanted to encourage physical harm to the cameras, but I think this is a more practical way to get them removed from Knoxville. Insert "red light" in place of "supermarket". We gonna beat the hell out of you red light running bastards! Pol, I have a vision of Knoxvillians gathering together in the near future, glasses lifted high, while ck gives a toast in your honor for helping make Knoxville red-light camera free. I have to say, I was impressed by the dude here that shot out the red light camera, but the pick ax and Santa Clauses take the cake. Red light cameras are complete malarkey. I reject the 21st century nanny state that monitors our every move in the world. Individuals should practice resistance to these movements until the government stops putting (our) money into them. Shoot out the cameras, duct tape over the lenses, chop down the camera towers, or "accidentally" hit them with your car...twice. Wait a sec- Are you espousing civil obedience? My revolutionary instincts are confused. Yes Mickey, I want everyone to go over adn beyond their civic responsibility in order to undo this injustice. After that it's back to the pitchforks and spray paint.